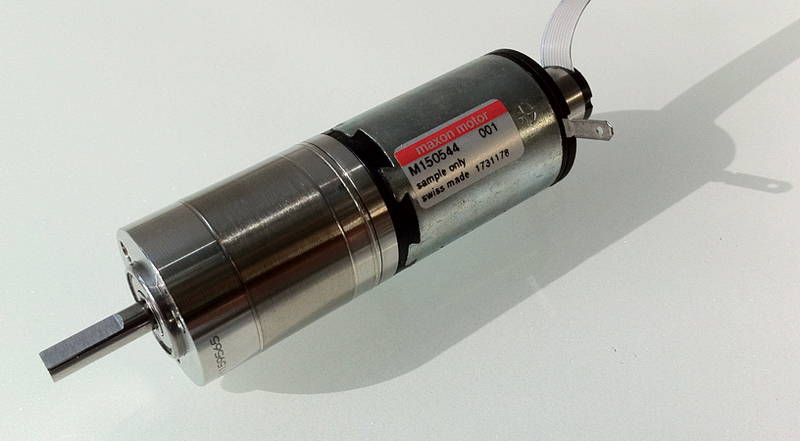 Low noise DC motor – aptly named. Low noise DC motor example specifically configured and appropriately labelled “The Quiet One” by maxon motor Australia, represents a shift in low noise DC motor technology. This low noise DC motor has a specification set that is not typical for an application that requires low noise operating characteristics. It is 26mm diameter and is of a full laser welded stainless steel construction. It has stainless steel pre-loaded ball bearings, graphite brushes and a 60V DC winding. It is also fitted with a 4096qc encoder and features extra-long cables. Traditionally ball bearings are considered “grumbly” for low noise applications and sintered sleeve bearings would be used. Also precious metal brushes would be specified over graphite brushes. However sleeve bearings do not have the lifespan or load capabilities of ball bearings and precious metal brushes often do not have the current conducting capacity that the application requires. This new motor has been designed to overcome these issues and has had special consideration given to harmonic performance. The brush system features a special damping system to attenuate noise and the preloading system has also been finely calibrated for the speed range. The motor outperforms previous low noise benchmarks set by maxon motor. It can used with the well-known Koaxdrive© transmission technology that offers gear reductions with low noise levels using a unique cross between worm and planetary gear forms. Any process or manufacturing technology application that requires low noise will benefit from the new motor design. Contact maxon motor Australia for further information or assistance. Ph: +61 2 9457 7477. DC gear motor – take two. For out of the ordinary DC gear motor combinations contact maxon motor Australia. This DC gear motor example supplied by maxon motor is another “out of the ordinary” combination of componentry customised for specific building automation applications. This unique gear motor features two complete planetary gearheads, one mounted at each end of the DC motor. The addition of a gearhead on the rear or commutation end of a DC motor involves modifications to the rear plate so that the mounting holes of the rear gearhead can be aligned with the mounting holes of the front gearhead. This must also take into account the normal null adjustment of the rear motor flange for peak operating efficiency during manufacture. Adding further complication, an encoder is required for the positioning of the load. Normally this would be mounted on the commutation end also. Therefore it has been designed with a special internal encoder, based on hall sensor technology and placed around the motor commutation system. The unit is 80mm in diameter and can produce 160Ncm on both gearheads at the same time. Running at 1525 rpm with 48V DC applied. Contact maxon motor Australia for further information or assistance Ph: +61 2 9457 7477. 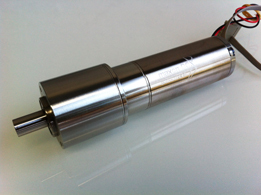 Small gearmotor – technology matching. New generation DC gearmotor example that shows the advantages of mix and match technologies and enables mechatronics engineers to tailor gearmotors for specific applications. This is the first example supplied by maxon motor in Australia of the new DC-max motor range fitted with the high quality GPX gearhead. 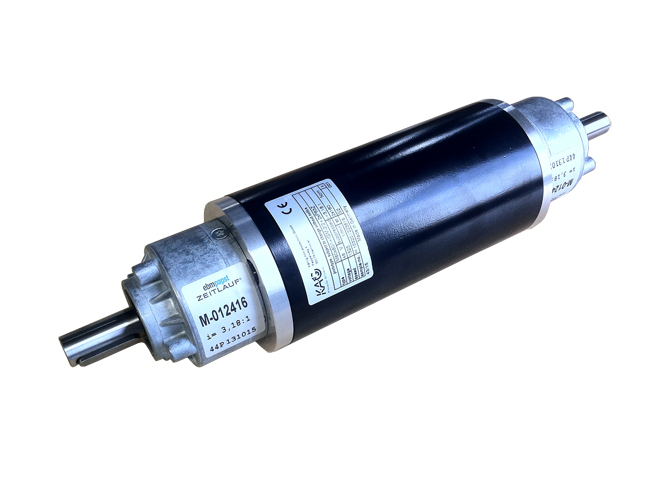 The DC-max motor is a new “bang for your buck” motor offering the same high powered rare earth magnets and patented maxon rhombic winding as the premium maxon motor range, only it is packaged in a cost effective housing. Mixing technologies in this way gives the unique advantage to the product designer to focus a gearmotors strengths where they are needed in the application. The high motor speed and high gear reduction requires the gearhead to act as an efficient transmission and this is only achieved through precision machining and quality materials that the GPX gearhead offers. This specific gearmotor combination was specified in a sample preparation application where the gearhead portion of the drive is exposed to a corrosive atmosphere requiring all stainless steel construction however the motor portion is hermetically sealed and does not require the stainless steel body of the typical motor used with this gearhead. The advantage with this new mix and match approach to gearmotor selection being that essentially, the mechatronic equipment designer can allocate costs where needed for the device. For more information please contact maxon motor Australia +61 2 9457 7477. DCmax small gearmotor © 2015 maxon motor. A small DC motor and gearhead was specially designed for the Leica S system camera. With near-zero lag time the camera is perfect for action photography. maxon motor was able to use a standard A-max 12 motor, connected to a tailor-made gearhead that was altered to suit the very specific needs of the application. Installed into the central shutter of the camera, the entire DC motor and gearhead unit needed to be compact, enclosed and sealed with the ability to produce more than 100,000 releases over the course of its life. For further information please contact an application engineer on +61 2 9457 7477. 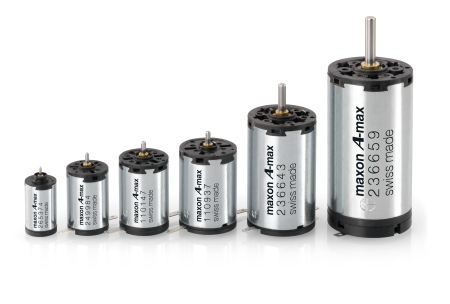 The maxon A-max DC motors © 2015 maxon motor. Small DC servomotors for Aviation applications. A small DC servomotor specifically designed for the high vibration and high reliability requirements for aircraft applications. Amongst other features, it is the scaled design of this new DC servomotor, gearbox and encoder combination that contribute to this motor combinations particular suitability for Aviation applications. 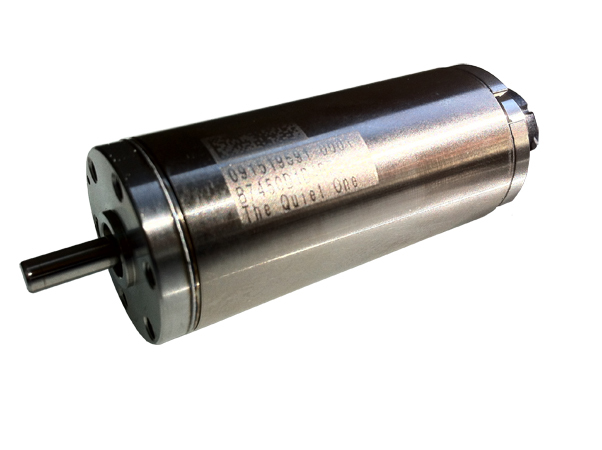 For a high torque DC motor requirement first we start at the load and work backwards with the shaft, gearing, motor, encoder and then the control method to create a servo gearmotor that is unique and most suited to the application. The newest range of DC motors from maxon motor, the DCX, allows the design engineer to individually configure the components in this fashion. For Aviation, especially for an application within a propeller or engine bay the motor is exposed to high vibration that requires a significantly robust shaft and bearing system. But the strength of the drive system often comes at the expense of the servo gear motors mass. With the new DCX configuration the gearhead shaft and bearing are optimised for high torque and vibration requirements at the output stage, while the input stage is stepped down in diameter as it only has to transmit lower torque levels – reducing the mass. Similarly the encoder is smaller at only 10mm in diameter and weighs less than 5 grams. Producing the most torque passible from the lightest motor system possible. Further reliability is achieved with Laser welding being used throughout the assembly process, at the bearing system, between the gearhead stages and even to assemble the motor and gearhead together. For assistance customising a servomotor and gearhead combination contact maxon motor Australia + 61 2 9457 7477. Small servomotor and gearbox combination with encoder. maxon DC servo motors driving your golf game. Quiet, powerful DC servo motors for motorised golf caddies. 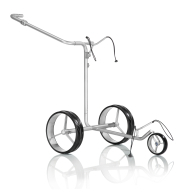 Smooth wheel movements, quiet operation and efficient energy output were the basis for selecting two maxon DC servo motors for inclusion in the JuCad golf caddy. With an ironless winding system, customised motor shafts and rare earth permanent magnets, this specific combination drives the caddy smoothly yet does not compromise on power. Fitted with speed control and automatic forward function the motors are recharged by lithium batteries. Constructed of titanium and carbon materials for a lightweight product, the JuCad Golf Caddy weighs less than 5kgs. 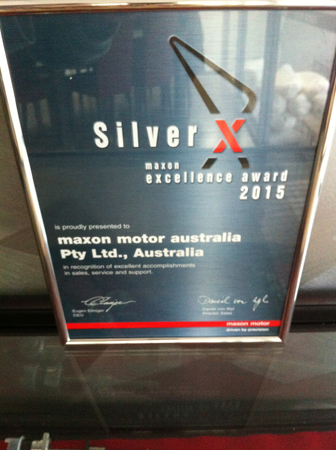 For more information contact a sales engineer at maxon motor on +61 2 9457 7477.
maxon motor Australia received a global award for excellence in customer service. The award recognised the technical efforts of a customised and specific motor combination for a maxon motor Australia customer. Reaching beyond the design of the motor, the support levels and engineering consultation throughout design and construction was the basis for the award. The motors in the customer’s design were from the brushless flat motor range with a bespoke integrated control unit, custom oil sealing, customised encoder feedback and a series of specific flex print cable looms to perfectly integrate with the customers equipment. Follow up engineering support in both hardware and software have been provided free of charge to the customer for over two years following product release which highlights maxon motor Australia’s exemplary support levels. 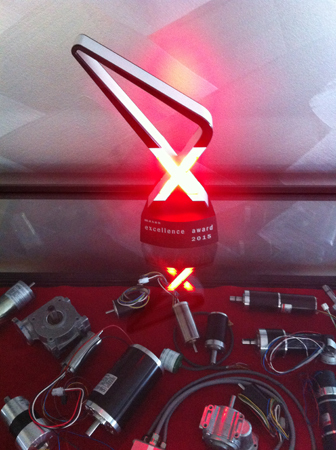 For simple or complex motor, gearhead and/ or encoder combinations please contact +61 2 9457 7477. The Silver Excellence Award and trophy. maxon motor AG 2015.